Time in its eternity has seen many advanced cultures vanish, but it could not leave behind the Indian culture. Many rulers with different religious ideas ruled India, like Buddhist, Islamic, and Christianity for many years, but they could not wipeout the Indian cultural practices. Amongst the above three rulers, the rule by the British was the most deterrent as it attacked both our religious and cultural achievements which in time made us to forget our past cultural heritage. No sooner we started giving importance to the imposed foreign culture of British, considering ours to be backward; we began to lose our power of independent thinking. In real terms we became more dependent on rulers. Only British could do this more effectively than Buddhists or Muslims. During that rule, We were flabbergasted, rather hypnotized and amazed by their (so called) scientific approach and started aspiring for that knowledge forgetting all achievements our forefathers had made in past with their high intelligence, hard work, and dedication. Marked change occurred in our way of thinking and day-to-day working taking for granted the British rulers to be superior to us. In the past, we in India had several unique achievements in the field of learning, literature, astronomy, astrology, along with several arts such as combat fighting (martial arts), wrestling (malla vidya), classical singing (Shastriya Gayan), instrumental music (Vadya kala), and so on and so forth. Somehow we started forgetting all our grand achievements and became blind followers of British traditions. We neglected our age old grand heritage and stopped practicing and learning the old arts. Conducting further research on those arts for their enhancement totally lost sight. Along with losing many things like the Indian way of education and many fine arts, the most important thing we neglected was our physical health and nurturing our combative instincts. As a matter of fact, we the Indians were never uneducated. We already had developed societies. Wise and learned people and warriors instincts always existed amongst us. Our thinking was forward as can be seen through our ancient literature and best managements in many of the princely states. This is what the British government wanted to change in order to stabilize their kingdom and to make us their slaves. To achieve their ambition, they intelligently launched schemes for the benefit of Indian public, such as “Educating Natives for Better Education”. Alas, these education schemes penetrated not only muscles and bones of Indian people but in to their minds as well, as good jobs were offered to those so called educated by the British Government and the then princely states. People so enlightened and now employed, started getting recognition and were honored in the society. Greed and money played its role to consider English education to be more superior. Due to this attitudinal change, many Indian achievements of past were neglected and most to suffer was the physical fitness of the general public. 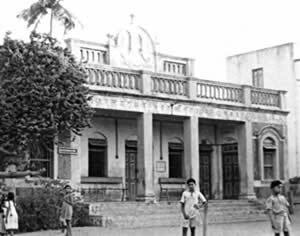 Akhada’s and Talim’s (gymnasiums) existed those days too, but now, the so called educated class became allergic to them. Those who were going to Akhada’s were subjected to adverse criticism. Learning wrestling, Indian Marshal Arts, such as sword, Lance, Dagger, Patta, fighting, was considered to be the acts by uneducated and dull minded persons. The people from well–to-do families started teasing these boys who attended Akhada’s. What an irony! It is a known fact that in India, prior to year 1900, where ever “Guru-chela” (Teacher - Disciple) system existed, a boy in early teens, after attending his school and all household duties will go to Akhada and could easily have workout of Baithaks, ,Dand, Malkhamb, wrestling. In the gymnasium other instruments such as Magdal, Heavy Lezim, Santola, Chakki, etc was available, but that workout was optional. All these activities almost came to a standstill. Along with our physical strength, we also lost essential assets like bravery (Shourya), boldness (courage), and combative strength and instincts (Parakram Shakti and sphurti) as we were made timid, submissive and feel to consider ourselves inferior. With this attitudinal change and lack of aptitude to learn our arts, our body, mind and brain lost its strength. And in absence of alertness of our body, mind and brain how the aforesaid assets can be acquired. We became dull and weak in all respects and our self thinking ability and combative sprit was lost. Undoubtedly the Britishers were renounced administrators and shrewd politicians. In the name of giving peace and safety to the Indian people they systematically put an axe on development of our abilities such as combating skills (Yudha vishayak gyan), our warrior attitude (Khsatriya bana), and our lore of arms (shastra vishayak abhiruchi). They also forbid us to adorn arms or own them. Not only this, they banned the institutions that imparted training of arms and physical fitness activities imposing orders of closer. We thus, no more remained people of warrior class. Foreign rule made our bodies weak, minds undecided, brain polluted and feelings submissive. Our instinct for valor was lost. Importance was given to service class’s gentle behavior and acts of body building (Sharir Sausthav ),good health ( Sharir Sudhrudta ), explosiveness and valor ( Avesh ) by the individual were considered to be foolish acts by our own people. Graceful performance of Sarvaang Sundar Vyayam by Vasant Vaidya, a disciple. By naming Akhada as “Vyayam Mandir” (Temple of physical education), he changed the aforesaid false notion about akhadas in the minds of people. In the memory of his beloved Guru Jummadada, he named his institution “Shree Jummadada Vyayam Mandir”, which became the landmark for reviving India’s lost glory in the forgotten arts of self defense and attack and lore for arms. In 1906-07, he introduced based on human body science, a scientific system of physical education without distorting its originality. 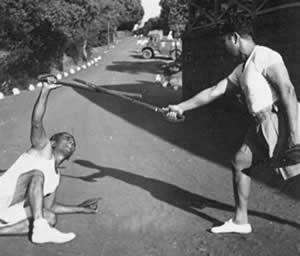 Old physical exercises were organized into group drills (Sangha Vyayam) with Hindi words of command (Hindi Aganya shabda) which made them more attractive to the youth and looked more presentable before the general public. He published in year 1911, a book called “Bodhak patra” wherein he gave the names of various Indian exercises (Dav’s) such as of Kusti (wrestling), Lakdi, Lathi, Santola, Lazim, farigatka, Talwar, Bhala, Patta and firang. Subsequently more subjects were added to this. As men needed exercise, the females also need them. 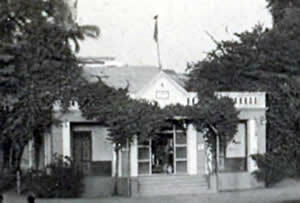 Considering the importance, he started an institution naming it ‘Kanya Arogya Mandir’ in year 1915. 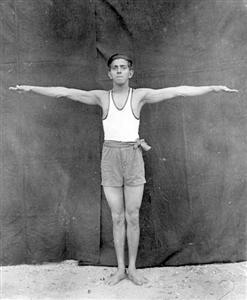 To popularize physical education among the masses, he started short-term courses in the year 1921, dividing people into age groups. Workout was fixed as per the age class. On the 400th birth Anniversary of Chatrapati Shivaji Maharaj, Prof. Manikaro build a Shivaji Mandir, the only temple of its kind in the entire world in the memory of the great Maratha Warrior. As per the desire of Shrimant Pratapsinharao Gaekwad, the then Maharaja of Baroda, he collected all available weapons of Baroda state, numbering thousands, identified them, classified them and then in a systematic manner arranged them in a museum in Laxmi Vilas palace, Baroda, India. He wrote a treatise on Indian weaponry, publishing a book called “Shree Pratap Shastragar”, which classified Indian weapons and gave details about their upkeep, and narrated many other details unknown to Indian public. This is a unique book of its kind by an Indian, which highlighted India’s past glory. Earlier, for his knowledge of weapons he was given the title of “Professor” by none less than a person, Lokmanya Bal Gangadhar Tilak in year 1906. He was considered to be a Gem (Ratna) in the Darbar (Court) of Baroda state having given the titles of “Rajratna” and “Rajpriya” by the famous Baroda king, Srimant Shri Sayajirao Maharaj Gaekwad for his untiring social work and selfless service. Manikrao was master of Malla vidya (wrestling) Shastra vidya (Martial Arts), great educator of physical education, excellent Hakim (Unani practitioner), a Vaidya (Aurveda expert), par-excellence in the art of Bone setting (Astisandhan vidya), a pharmacist, a social reformer, a social worker, a writer, excellent orator, and an highly patriotic personality. He was proficient in several languages such as Hindi, Sanskrit, Guajarati, Marathi, Urdu, Persian, and Farsi.